My sis in Manhattan had a case of the Big Birthday Blues and the Big Apple couldn’t meet her needs. She wanted to celebrate with beaches and bike rides, seafood and sun, flowers and wine. She gulped and looked at me. I said, “Just think, 100 miles of gorgeous ocean coastline, sun-drenched beaches, culture galore– to say nothing of their world-class wineries and dineries. I needed a break from the friendly skies so I decided we’d drive.We’d meet up in Seattle, check in with our Mom and swipe her car. We hit the road after morning coffee and seven pedal-to-the-metal hours later we were in Ashland, Oregon. It’s a simple drive, just get on HWY 101 and don’t get off. 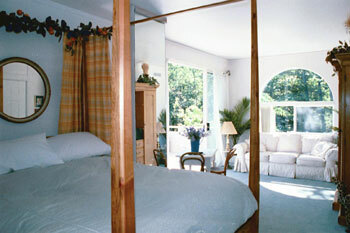 Each suite has its own private entrance and personal outdoor space overlooking the crooning creek. Most have kitchenettes, wonderful cozy beds, large bathrooms and plasma TV’s. Actually, I could live there quite happily. The extraordinary 3 course breakfast which is included in the room rate. Normally, I’m a morning coffee-only girl, but there wasn’t a morsel left from the grilled mango, duck confit/ sweet potato hash/ eggs Benedict, and triple berry smoothie. Thanks. Get ready to settle in because there’s about 5 more parts to it. Santa Barbie has too much to cover in just one short story. Haha, agree. Santa Barbara has WAY too much to cover in one post. I trust you will be positively addicted to all SB has to offer after this trip…for your next trip up if you can’t splurge as much, check out the Sandman Inn (www.thesandmaninn.com). It’s a great way to relive your vacay without spending the major bucks! Santa Barbara definitely deserves two posts! hah. I agree with Christina; Santa Barbara is a one of those cities you just get addicted to when you first come. So much to do and there is way too much to see, it is well worth a few trips. A great hotel to check out would be the South Coast Inn (www.santa-barbara-hotel.com). So elegant and the perfect place to escape all of the city noise! Santa Barbara is one of my personal retreats to escape the madness of LA and the fast paced life style. Lounging on the beach is a past time and everything that SB entails. 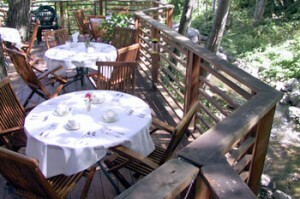 I cannot wait for my next trip this Spring-staying at the South Coast Inn (www.santa-barbara-hotel.com). So lovely and the best place to call home while on vacation.